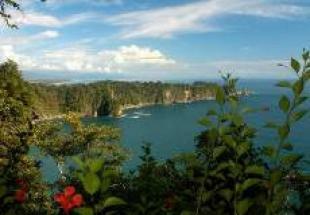 Discover the vast diversity and tropical plants in Manuel Antonio Park, then visit the volcanoes Arenal and Tenorio and the Rincon de la Vieja area, before lazing on the Papagayo Peninsula. 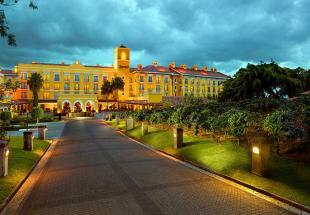 Stay in luxury hotels, boutique lodges, thermal baths and spas. Night at the hotel Marriott San José. Today, we will head south to Costa Rica's Pacific coast, driving through Alajuela, San Mateo and Orotina, taking a scenic mountain road. On the way and if you have enough time, stop to watch crocodiles sunbathe on Rio Tarcoles or visit Carara National Park, which despite its small size (52 km2) is one of the most diverse of the country. 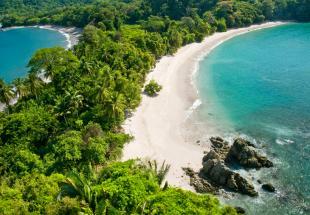 Arrive in Quepos, well known for sport fishing and palm oil production, and relax at the hotel in Manuel Antonio, a wonderful park. 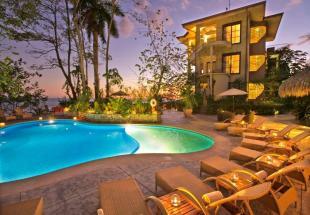 Night at the Arenas del Mar Beachfront & Rainforest Resort*****. Free time day to enjoy the Manuel Antonio region with its stunning beaches and coral reef, and a great variety of fauna and flora. 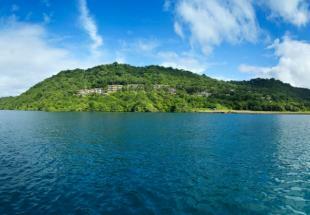 Swim in the cristal waters, relax on the thin sand beaches, walk through the tropical vegetation... 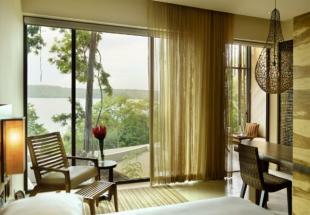 This is the perfect place for watching numerous animals such as lazys or squirrel monkeys. 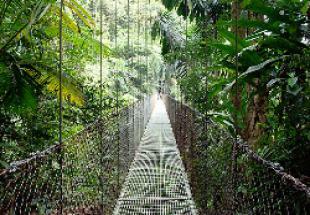 - Explore the canopy (supsended bridges, flying foxes). 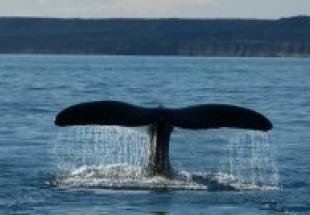 - Cooperative of african plam and wild animals protection centre. 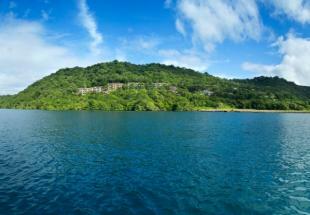 Morning departure for the Costa Rican Pacific coast. 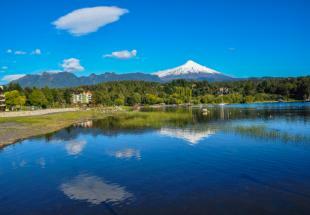 Drive along Lake Arenal, ideal site for the practice of windsurfing before reaching Cañas. On the way, if time permits, you can observe the crocodiles on Rio Tarcoles or visit the Carara National Park, which, although quite small (52 km2), offers one of the greatest biodiversity in country. 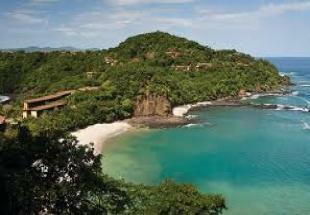 You reach Quepos mecca of sport fishing and production of palm oil. 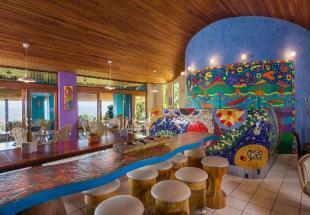 Installation at the hotel near the Manuel Antonio National Park. 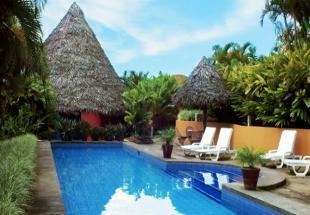 Night at the Arenal Nayara Hotel & Gardens. A 3 kilometer path will lead you through the primary forest. In total safety you will enjoy a stunning view of the tropical vegetation and of the Arenal volcano, while crossing over 8 fixed bridges and 6 hanging bridges over the canopy (the extent of the outer layer of leaves of an individual tree or group of trees). 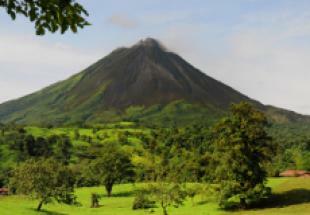 Discover the Arenal National Park hiking around the Arenal volcano, on the paths covered with ancient volcanical ashes and native vegetation specific to the area. 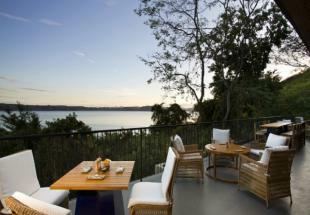 If the weather is clear enough you will even have the chance to enjoy a beautiful view of the Arenal lake. 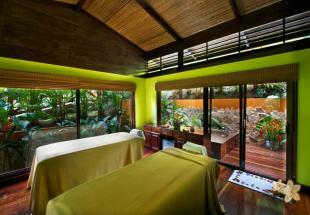 Late afternoon treat yourself to a relaxing time in the spa resort of Ecotermales in an intimate setting. 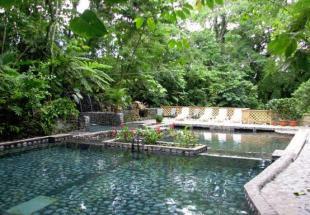 The warm waters of "Eco Spa" come directly from the hot springs of Arenal Volcano, without ever coming into contact with the magma. 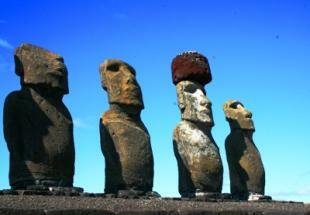 This exceptional site is preserved from mass tourism, what makes it heavenly peaceful. Departure for volcanoes Miravalles (2,028m altitude) and Tenorio (1,916m altitude). The straight road crosses the rural area of San Rafael de Guatuso. Arrival at the hotel, a few kilometers after Bijagua, in an area of vast vegetation. 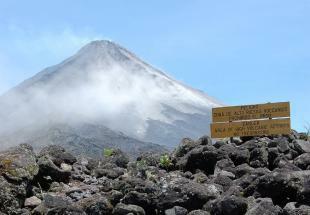 - Volcano Arena National Park with an english/spanish speaking guide. - Exploring the canopy with a cableway. 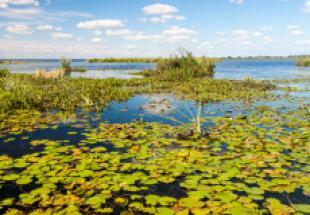 - Watching the animal life, numerous birds and vegetation. 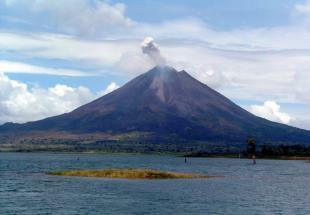 - Touring on the Arenal lake (sail, kayak, fishing). - Trekking and horse riding. - Visit of community projects or agricultural projects. 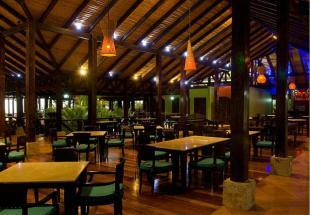 Night at the Rio Celeste Hideaway Hotel****. 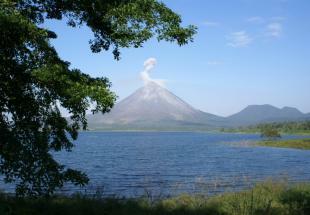 Explore the Tenorio Volcano National Park. 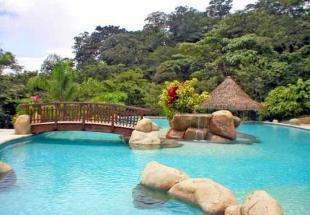 You will pass through jungle, waterfalls and natural hot springs. 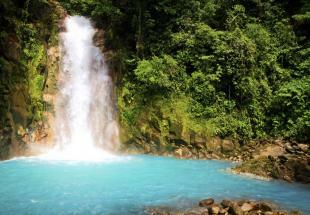 You will have the chance to discover Rio Celeste which is known for its turquoise blue color (intensified with the reflexion of light) caused by the minerals contained in the water. 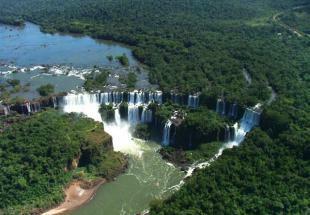 The river contrast with the intense green tropical vegetation. 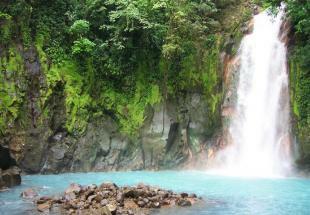 The 36 km long Rio Celeste is born at the joining point of two rivers and flows through volcanic hot and sulfur sources before dropping in a amazing waterfall. 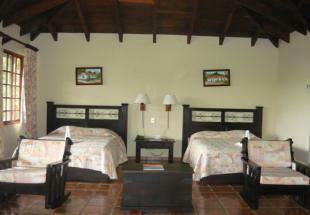 After that you will arrive at the hotel in Rincon de la Vieja, set in a typical landscape of ranchs and volcanoes. Note 1: Approximately 2 hr 30 min drive. 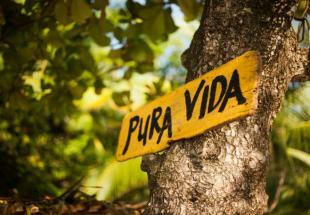 Note 2: The Rincon de la Vieja National Park is closed on mondays. 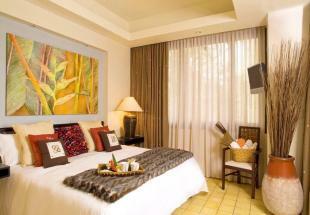 Night at Borinquen Mountain Resort & Spa Hotel. You will explore at your will one or several of the three areas of the park Rincon de la Vieja (the Cangreja, las Pailas and Santa Maria). At the heart of this park stands the massive volcano of the same name. 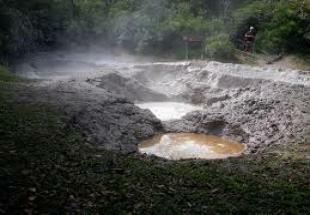 It's the origin of geothermal activity you will see during hikes in las Pailas sector or Santa Maria. You will probably come across capuchins, howler monkeys and spider monkeys, anteaters, sloths and over 300 species of birds. The park, established in 1973, is home to a large concentration of orchids or "Guaria morada" (Guarianthe skinneri) the local flower. Note: Cangreja and Las Pailas areas are closed on Mondays. 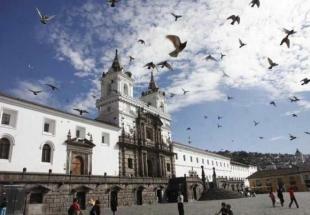 Santa Maria area opens daily but it is more difficult to access during the rainy season. 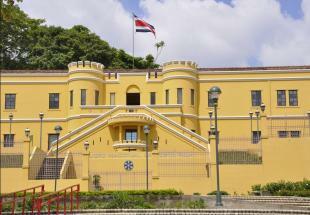 Free morning to enjoy the many attractions of Rincon de la Vieja National Park. 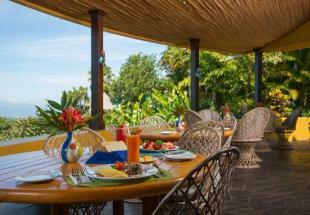 After breakfast depart for Liberia, capital of Guanacaste and continuing to the Pacific coast. 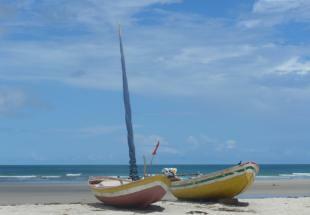 Then, transfer to hotel near the seafront and end of day free to relax on the beach. 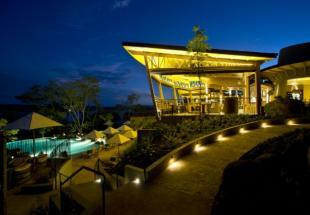 Night at the hotel Andaz Papagayo. In the morning departure towards San Jose. Along the way you can take the Puente (Bridge) Tempisque to cross the Gulf of Nicoya, before taking the Panamerican highway. Arrival in the Central Valley. To your hotel. Note 2: place and return conditions of your rental vehicle later date. 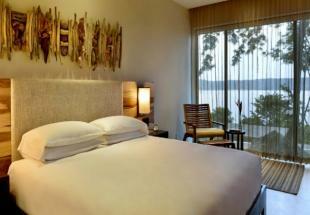 Night at Xandari Resort & Spa. Stay well-connected to comfort and convenience at San Jose Marriott. 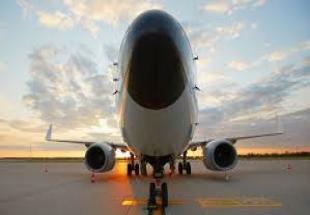 Adjacent to McEnery Convention Center and near downtown, SAP Center and Norman Y Mineta San Jose International Airport (SJC), this hotel is perfect for business and leisure travelers as well as parents and alumni visiting San Jose State University. 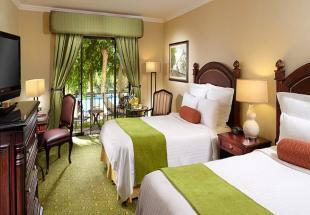 Well-appointed guest rooms and suites feature premium pillow-top mattresses and the fastest Wi-Fi in the region. 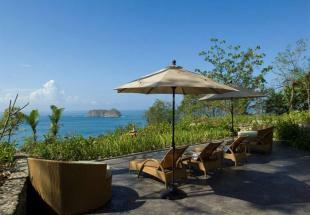 Set on a cliff overlooking the Pacific Ocean, this posh resort surrounded by rainforest is a 1-minute walk from Playitas Beach and 2 km from Manuel Antonio Nature Reserve & Wildlife Refuge. 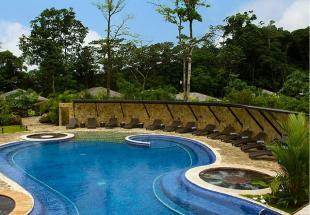 Arenal Nayara Hotel & Gardens is a boutique 5 star hotel renowned for being a romantic and serene destination offering personalized services and high quality. 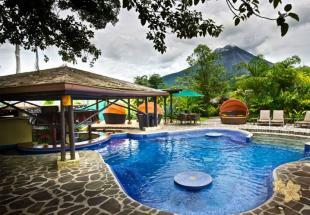 Boasting stunning views of the impressive Arenal Volcano, Nayara Hotel is an oasis of peace surrounded by a lush tropical forest offering guests all the comfort and luxury in the heart of nature. 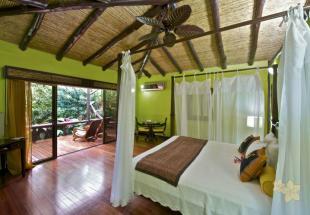 Nayara is an ideal place for couples or honeymooners seeking privacy, romance and a natural environment. Nayara adds a special touch with baths with rose petals or providing a dinner under canddle light to make your stay even more memorable. 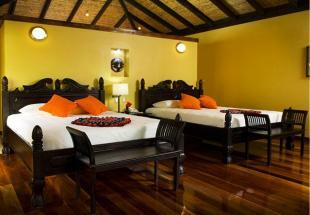 The romantic and cozy atmosphere of Nayara will captivate you and seduce your partner. Rio Celeste Hideaway is a small resort-style and ecologically-oriented hotel that provides a truly unique Rainforest experience, located next to the Volcan Tenorio National Park (where the amazing Rio Celeste gains its sky-blue color). 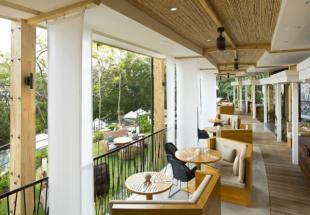 It provides comfort, a wonderful restaurant and amenities surrounded by an untouched natural paradise. 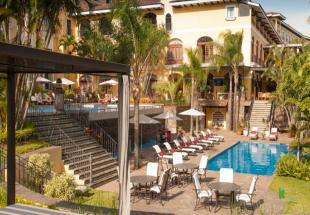 The Xandari Resort & Spa is a hotel that combines luxury and originality with a great decoration and a personalized staff. 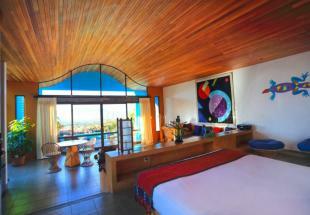 In one of its 24 villas, you can relax and enjoy the hotel facilities and its view of the Central Valley.